So in a world where we seem to be constantly on the go and all the wile still never seeming to actually get all that much done, I wanted to share my most valuable tools that I use myself and with my clients on the Focused Mind, Fierce Body Formula. We are already so busy and completely overwhelmed, that all to often everything can seem like it’s just a little too much to deal with. Yes, you know you want to do more, to be more, to have more yet, you just can’t seem to get there because all the STUFF is constantly getting in the way. These 5 things have been instrumental in helping me to get to where I am, and these are the same things that I continue to utilise and explore to be more effective in everything that I do as I continue on my own journey of continually improving. #1 Prioritise Your Health – Being fit and healthy is not just about the way your body looks, it’s how your body feels, how you can perform on a daily basis. How much energy you have, how often you get ill. Your ability to keep up will be effected by your level of fitness, so make your health a priority in order to be able to do and be more. Eat healthy clean fresh foods to nourish and fuel your body to thrive, move your body daily in some way shape or form Not just your physical health but also your mental health too. Although so many of us are rushed and short on time, creating space in your day will actually allow you to get even more done. Go on a walk, practice some meditation, do soma yoga. In most houses families will argue about who walks the dog, in our house we argue over who ‘gets’ to walk the dogs. For me the daily dog walk is time out, come wind rain or shine getting out of the house into the fresh air is often the time I get my best pieces of inspiration, either listening to posdcasts or often just alone with my own thoughts allows me to download, process my thoughts, gain clarity and decide on my next course of action. If you want more for your life, your health should be at the top of you priority because without it you have nothing, if you are ill you can’t do anything, if you are lacking energy you get far less done. #2 Set Goals – Sounds pretty basic, but how many of you set your New Years resolutions and then never so much as look at them again until next year comes around. Set goals in every area of your life in your career, with your fitness with your happiness levels. Push the boundaries of what you think is possible and dear to dream big, set goals that you can get excited about. Where would you love to go, what do you want to see and experience. The once you have laid down your goals take action on them every day, every week, every month. Look back at them, constantly review, some will change as they no longer feel important, others will appear as you get clearer about what you want your life to look like. Set goals but don’t forget to enjoy the journey along the way. #3 Get Focused – Setting goals is the first step, then the getting focused in the 2nd. 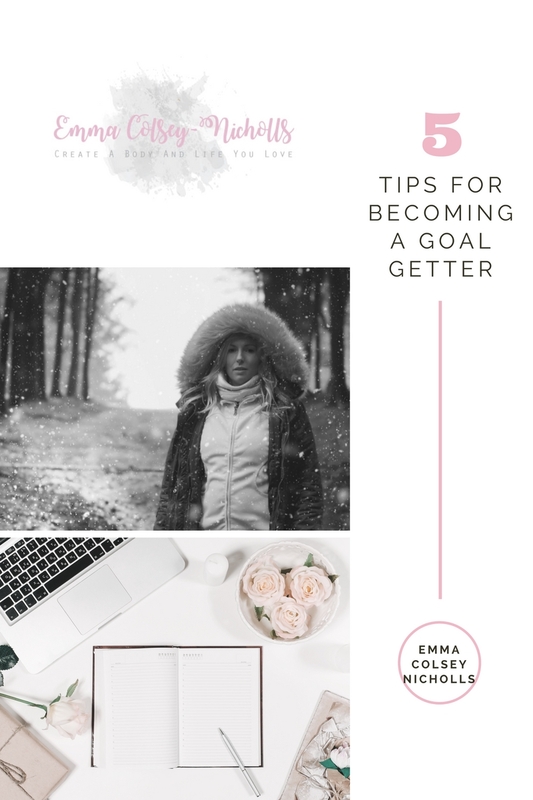 Goal setting only works if you take ACTION on those goals, other wise another year comes round and your only just remembering to do anything about these amazing goals that you have. So when you set your big badass goals, reverse engineer it, break it down and look at the steps required to achieve that goal. So if you are looking to improve your health and be able to complete a big fitness challenge like a 10k , a marathon or your first triathlon whatever. Look at the end goal, work out how many weeks you have to achieve that goal and set your training program accordingly so you improve your fitness over time. Or maybe you want to save up enough money to go on your dream trip. Workout the full cost, count up how many week you have to save and work out how much you need to be saving each week to make that goal. It’s the same process that can be used for any of you goals. A great tool that I have started using to help me with my focus and my planning is a project management tool called Asana. It’s free to use and also has handy reminders to let you know when your deadlines start to approach. And while I love having this as motivation I always like to have some flexibility around it too so don’t get too hard on yourself if you miss a deadline, if it’s no longer important to you then scratch it off your list, if it is still a priority just re-schedule a new completion date. #5 Evaluate – The check in with yourself, every week review how you did and then set action steps for the following week focusing on 4 main goals each week that that will have the biggest impact on you reaching those goals. The review again monthly, quarterly and yearly. This will give you the opportunity to modify and enhance things as you are going along as you constantly review your progress, look at what’s working, what’s not working because quite often things won’t go to plan, so instead of just giving up you get to look at the reasons why in order to be able to do something about it and then go on to create a different result. These 5 things will help you to shift through the overwhelm and gear up to be a focused and fierce goal getting machine. So start now, and remember the changes come from the actions you take.